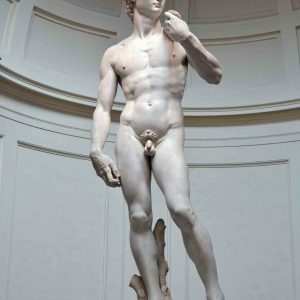 Get your must-have Florentine Steak Experience with ArtViva here! Italy is famous for its culinary delights. 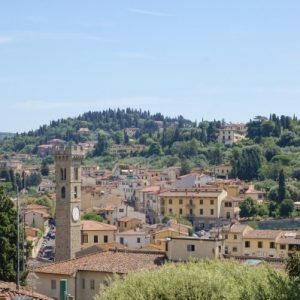 And Florence, in particular, is famous for its beef-steak. For an authentic taste of the real Florentine Steak it’s important to have the best ingredients, the right meat and the perfect setting. 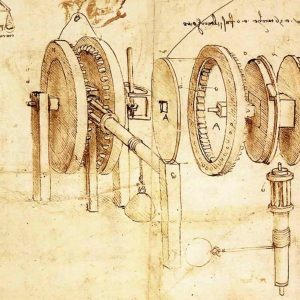 Read on to discover all you need to know! A good Bistecca alla Fiorentina is cut from the loin. Just below the rib cage and above the rump. The higher cuts contain the fillet and the lower don’t. But the Fiorentina doesn’t have to contain the fillet. You can have a bistecca nel filetto (steak with fillet) – the most popular for its tenderness, or a bistecca nella costola (steak near the rib) – a little tougher, but more flavorsome. 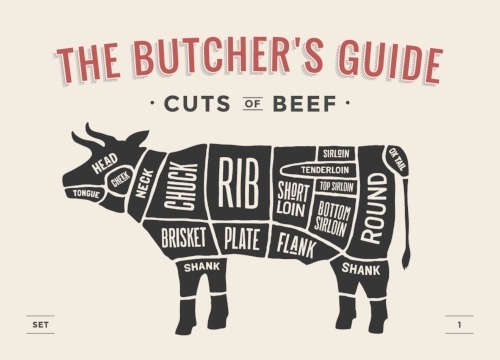 Once cut, the steak is actually a T-bone steak, or a Porterhouse when it has the fillet and sirloin. According to the ‘Accademia della Bistecca’ (a very serious association created by the oldest butcher shops in Florence), the thickness is one of the factors that makes the difference. A good Florentine Steak is not less than 2 inches (5 cm) thick, or 3 – 4 fingers, as the Florentines use to measure. A steak this thick will be around 1 – 1.2 kilos – that’s over two and half pounds! As a general rule, a Bistecca alla Fiorentina should be cooked 5 – 8 minutes on each side, but the debate is still hot! With a really thick steak you might wonder if the inside will even cook at this rate – the Florentine Steak is always eaten rare, but some experts say that you should begin by warming the meat on the bone by the hot grill for about 15 minutes prior to actually cooking it. After cooking, the meat should rest for around 10 minutes, so the juices redistribute, before being cut into slices using a smooth blade knife and served. Florentines never, ever eat a bistecca well-cooked. And when in Florence you do as the Florentines do, right? If a restaurant offers to cook your steak in another way, watch out that they might not be the real deal. Remember, for the authentic Florentine Steak, they will serve it rare dripping with juices. Take a look at the video for a taster (pun intended) and try your hand at cooking your own Florentine Steak in our unique cooking experience! Some leave the Florentine Steak in a warm oven to rest, instead of beside the grill, but other very hungry revolutionaries go straight to the point and eat it right away! Either way, it’s important to note that no sauce goes on top of the bistecca: only coarse salt sprinkled after cooking. The best salt to use is an incredibly tasty salt from the marble vats of Collonata – a little town nestled amongst the peaks of the Carrara marble mines in Tuscany where the marvelous ‘Lardo di Collonata’ comes from. ….that said, a little pepper and Extra Virgin olive oil wouldn’t go amiss either! Some might even add rosemary or a squeeze of fresh lemon. 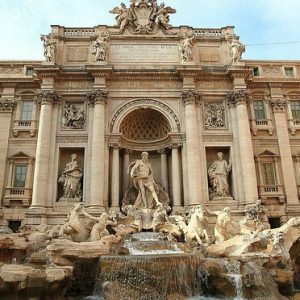 Traveling around Italy, you might start to notice the food in Rome is very different to the food in Milan and Florence, and these recipes have been documented. These days, butter on your steak would be considered blasphemy and a drizzle of olive oil quite acceptable. So be careful what you ask for, but at least now you can always reference our friend Artusi when asking for your steak! 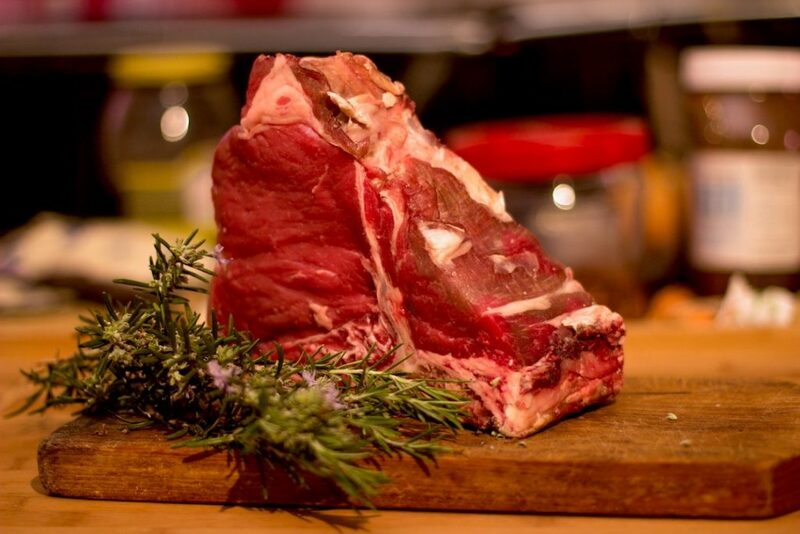 A true Florentine steak must come from the big, white, free-range Chianina breed of cow. The Chianina are one of the world’s largest and heaviest cows and Tuscany’s most ancient breed. The Chianina takes its name from its homeland, the Valdichiana: an area that runs from North to South between the plain of Arezzo and the plain of Orvieto, between the Tuscany and Umbria regions. 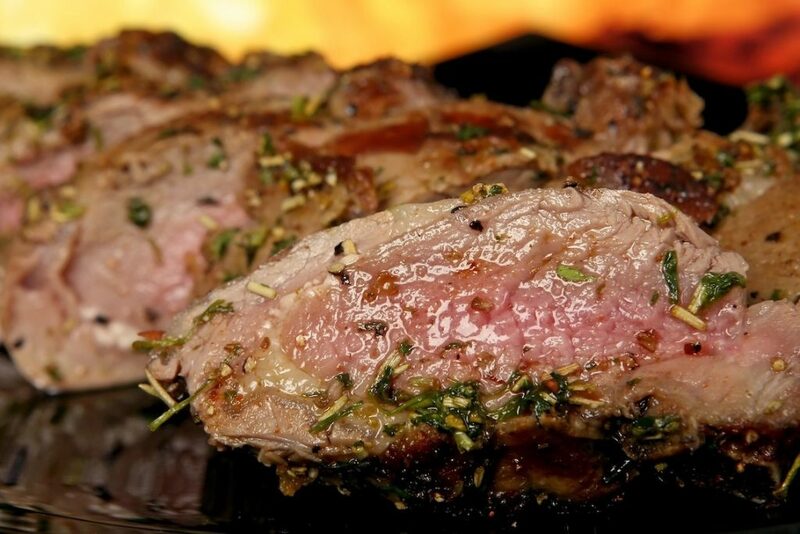 The animal has to be between 15 and 18 months and the meat needs to age for some days in a refrigerated room – times vary from a week to more than 30 days – before being ready for the grill. 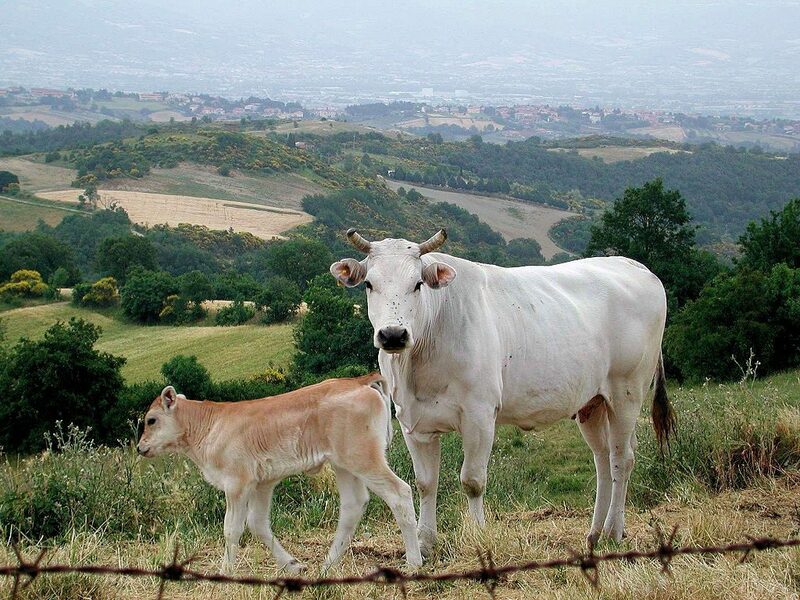 The Chianina breed remains still nowadays a peculiarity of central Italy – mainly Tuscany, Umbria and Lazio – and it is very hard to recreate the particular environment she needs to grow up healthily in the rest of the country. 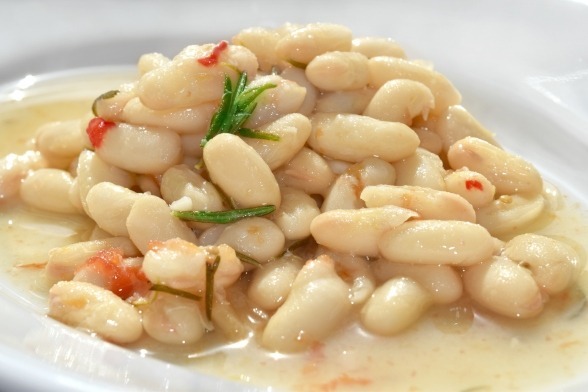 Cannellini Beans is the Side Dish – Not fries! Sorry, we know you were secretly hoping for some crispy fries with that but not in Florence! 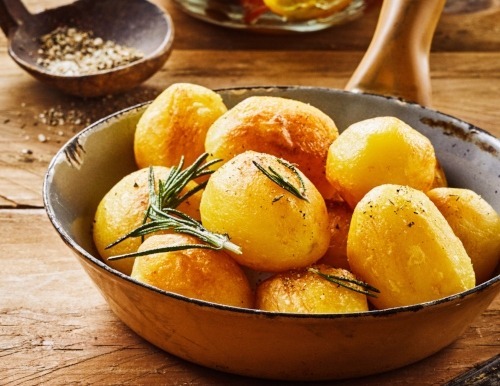 Roast potatoes – you won’t find any French fries here! 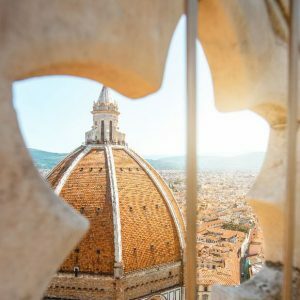 Florence’s history is dripping with good stories. 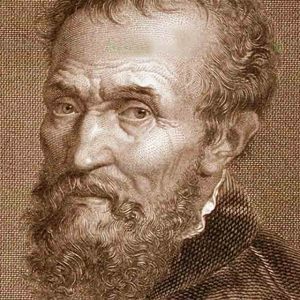 And the good stories usually go back centuries to the Renaissance and the most famous Florentine family: the Medici family. 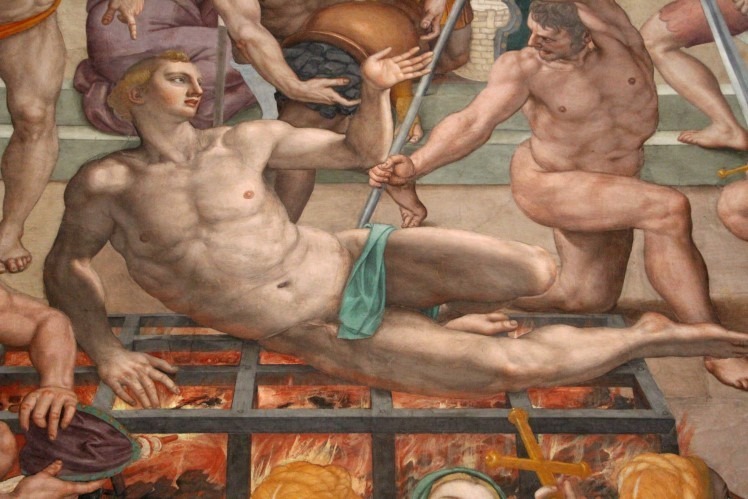 Poor Saint Lorenzo being martyred on a flaming gridiron! 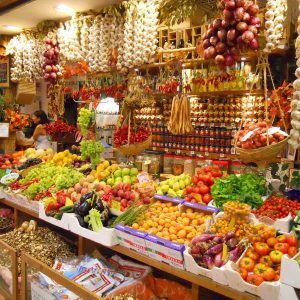 The story of the celebrated Florentine beefsteak also goes back to the 16th century and the festival night of San Lorenzo (Saint Lawrence) who became more important in Florence due to his famous namesake Lorenzo de’ Medici, known as Lorenzo The Magnificent. 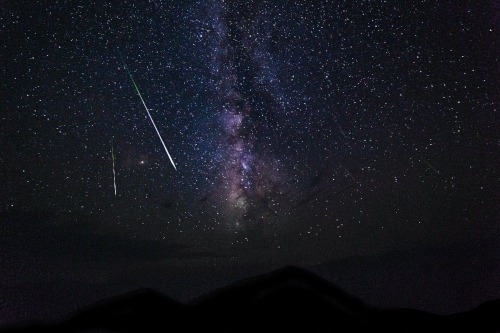 On August 10th, Italians celebrate the festival of San Lorenzo by going out to watch for shooting stars. These symbolize, for some, the tears of the martyr, and for others, the sparks of the fire on the gridiron on which he was executed! According to this latter version of the story this is how San Lorenzo became the patron saint of cooks! So what better way to celebrate this “roasted” Saint than setting up a big grill in front of his namesake Church and serving the Florentines free roasted meat?! 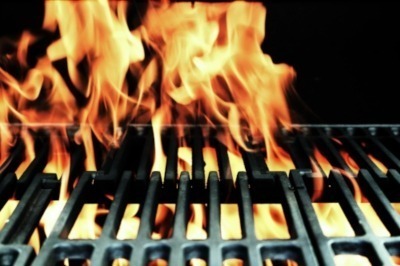 Legend has it that a group of English merchants approached the crowd waiting for their piece of meat and when they saw and smelled the delicious beefsteaks roasting on the grill they shouted “Beefsteak! Beefsteak!” in order to get a piece for themselves too. We know, it’s funny, but that’s the story of the birth of the infamous Bistecca alla Fiorentina. Congratulations! Now know everything you need to know about the Florentine Steak, it’s time to try for yourself! Chin Chin! 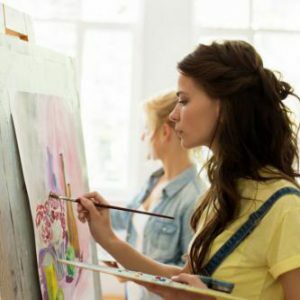 This could be you! 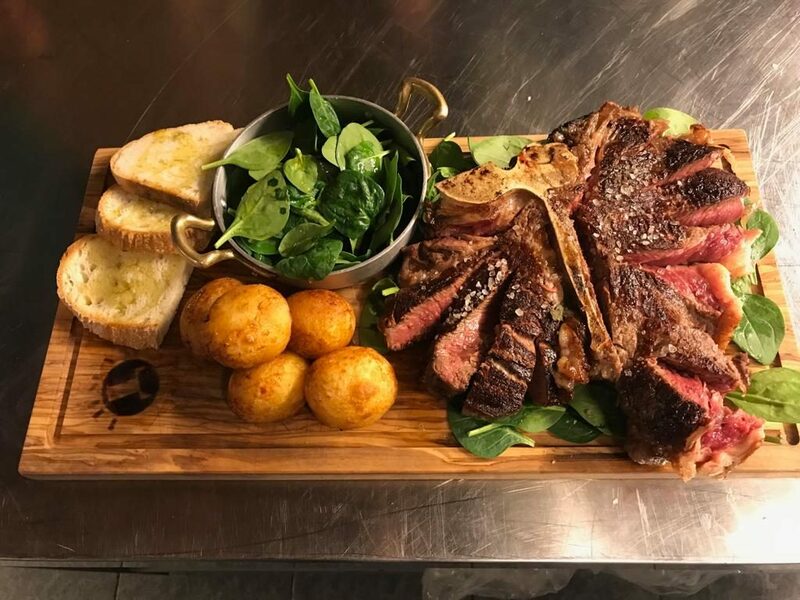 Click here to check out our unique Florentine Steak experience here to try your hand at cooking your very own Bistecca alla Fiorentina in an authentic Trattoria! 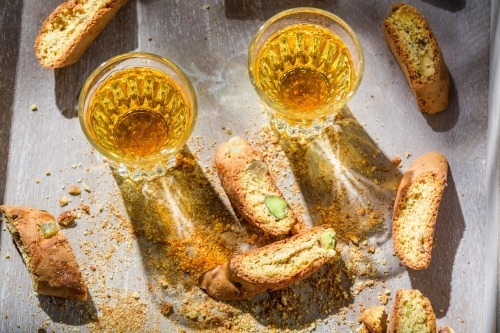 To accompany your personally cooked steak you will prepare a classic Florentine starter – ‘Fettunta‘ and finish with delicious Italian biscuits ‘Cantucci‘ dipped in sweet wine. See you there! 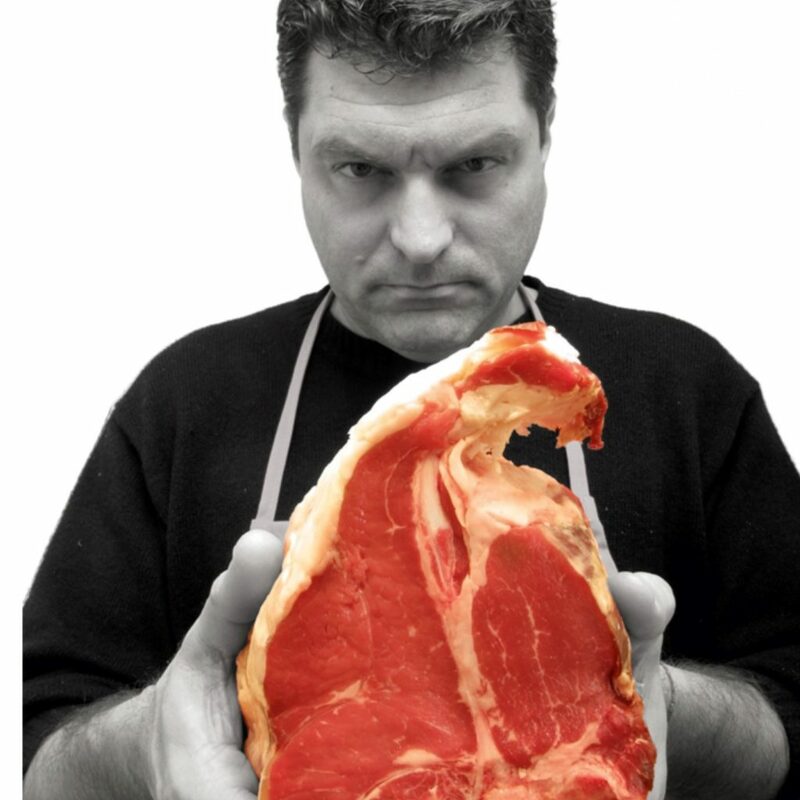 Italy’s most famous butcher – Dario Cecchini. 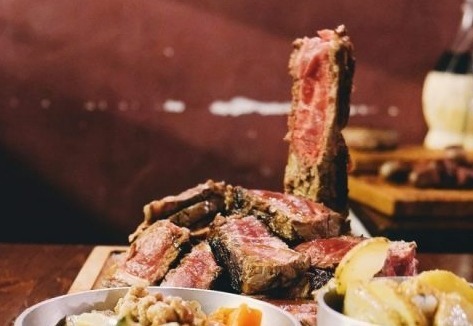 TRATTORIA SERGIO GOZZI: in the very center of the city, this restaurant is a real authority in the market neighborhood of San Lorenzo – so really back to the roots of the bistecca alla Fiorentina! – serving locals since 1915! Open only for lunch and closed on Sunday this restaurant is really like going back in time and eating with your Florentine grandmother. Prices are incredibly fair for the high quality of the food served! OSTERIA DI GIOVANNI: this is the restaurant opened by Giovanni Latini – the son of the owner of one of the most famous restaurants for a good bistecca in town – and his American wife Carole with the help of their two daughters this restaurant based on true Tuscan kitchen with a fusion touch is becoming ever more the favorite destination for Florentines looking for a good bistecca. The restaurant is very near to the shopping area of Via Tornabuoni and Via della Vigna Nuova and could be a good way to rest your feet and get some energy at the end of a shopping day! 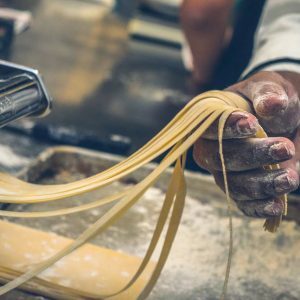 OSTERIA BADALÌ: recently opened in the relaxing neighborhood of S. Niccolò, this restaurant have both an experienced chef and a real wood grill. It’s a win-win. The list of wine is very curated too and the food authentically traditional but served in a modern environment. Very appreciated also by locals, so totally recommended. BBQ: homestyle tuscan kitchen and everything grilled on a wood fire, in this little restaurant at the border of the coolest neighborhood of S.Frediano but out of the crazy crowd. They, too, have a very good wine list almost 100% local with organic options too. Easygoing but very curated! We seat on a first-come-first-serve basis.